What You Should Know About The New 2018 Tax Law? 1) Slightly lowers the Individual tax rates. 3) Higher standard deduction – Almost double the current standard deduction amount. 4) The maximum child tax credit is doubled to $2,000 per qualifying child, and up to $1,400 can be refundable (meaning you can get this amount as refund even if you don’t owe any federal tax). The credit would be made available for high earners as well – Great News for people with kids!! 5) Taxpayers with pass-through businesses (includes Sole proprietorships, LLCs, Partnerships and S corps) who pay their share of business taxes on individual returns will be able to deduct 20% of business income. 6) Corporate tax rate has been cut from 35% to a flat 21% on all profits. 7) For itemized returns, there is a $10,000 cap on combined state and local taxes and property taxes. This will affect the homeowners in higher-tax states which include NY, NJ, CT, CA, VA etc. 10) Deductions that are disappearing next year for Federal – Moving expenses, Unreimbursed employee expenses, tax preparation fees, casualty & theft losses (except those related to a federally declared disaster). 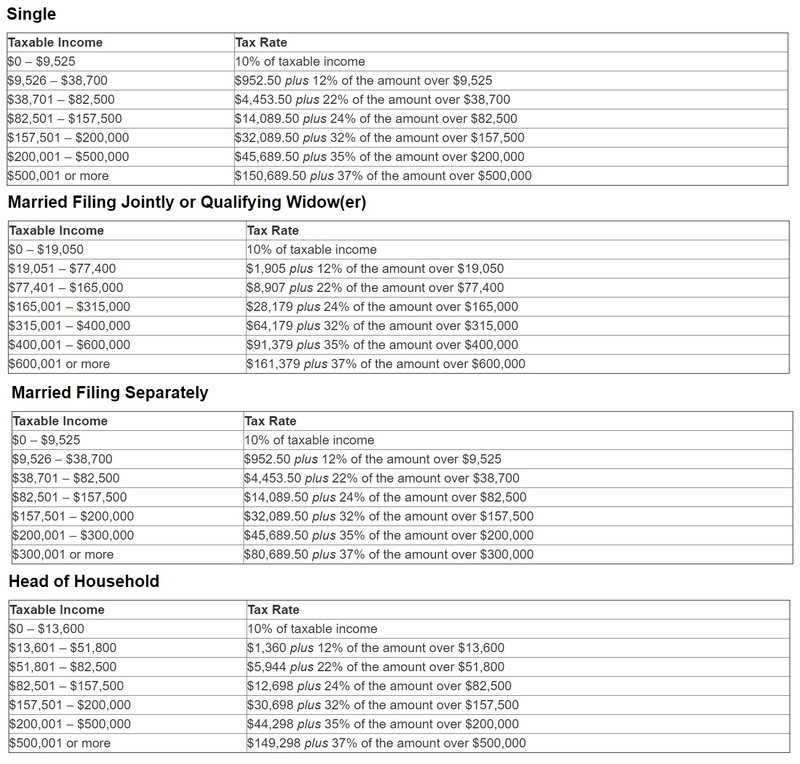 Below is 2018 tax brackets.